If you’re shopping for a house or considering a refinance, you’ve probably spent time looking at rate tables or getting quotes from lenders. This is a great way to get a general sense of your options, but it’s not entirely accurate. 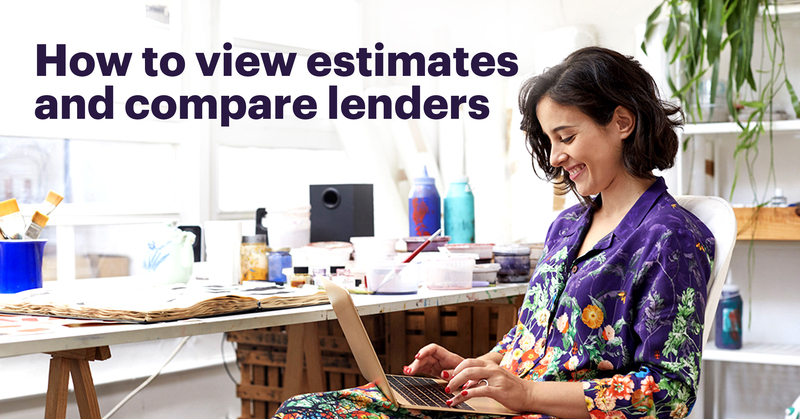 There’s only one accurate way to compare lenders. A Loan Estimate is a standardized form created by the Consumer Financial Protection Bureau in 2015 to protect homebuyers like you. Similar to nutrition labels, Loan Estimates are legally required to look identical across all lenders. That way, it’s easy for you to compare loan offers and harder for lenders to hide fees. To get a Loan Estimate, you’ll need six pieces of information: your name, income, social security number, desired loan amount, desired property address, and its listing price. After you provide these six pieces of information, a lender is legally required to share a Loan Estimate within 3 days. At Better, we provide them as soon as you create an account. The first page of your estimate outlines the general terms of your loan. You should make sure the interest rate and loan amount listed match what you selected or discussed with the lender. Page 2 of your estimate is where things get a bit trickier. But don’t worry, we’ll make it simple. 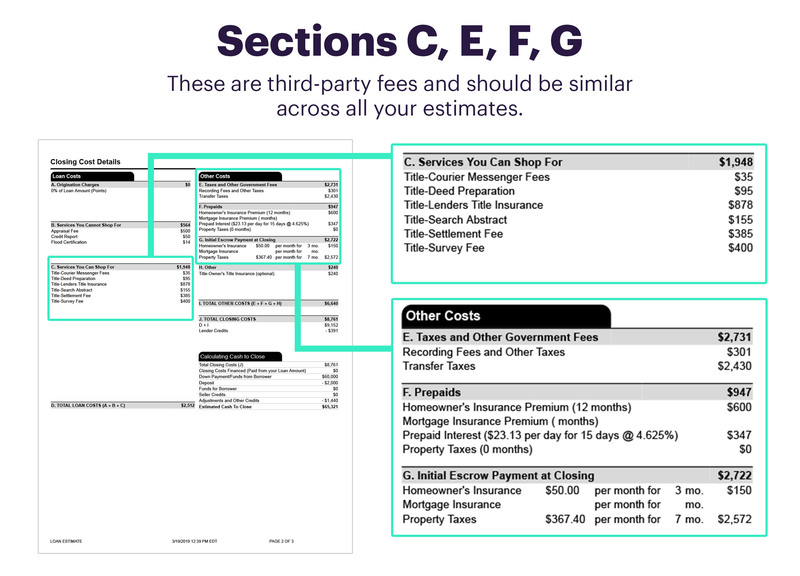 The most important numbers to compare are in Sections A and B: origination charges and services you cannot shop for. These numbers will vary by lender and impact your monthly payment and cash due at closing. This is where you’ll see points if you’ve opted to purchase a lower rate or credits if a lender has offered a discount. You may also see underwriting, processing, or origination fees. At Better, we don’t charge loan fees so you’ll only see points or credits in our estimates. The big ticket item here is your appraisal, which makes sure your house is worth what the seller claims it’s worth. Other lenders may also charge condo fees or subordination fees, which we do not. 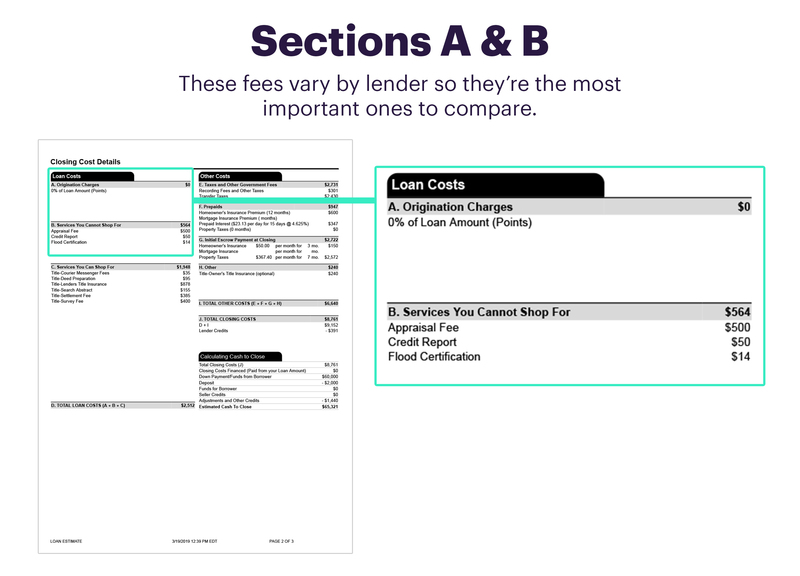 These sections are third-party fees that will be the same no matter which lender you go with. If you see a discrepancy in these sections, it may be a sign that a lender isn’t being upfront about the total cost of your loan. Note: section C may differ slightly, if a lender has a relationship with a title company. While the invention of Loan Estimates has made it easier to compare your options, it can still be confusing. That’s why we’re happy to walk through our Loan Estimates, as well as our competitors’, to help you choose the best option. Schedule a call with one of our non-commissioned Mortgage Experts to learn more.